It’s going to be the perfect comedy for the Holiday Season. 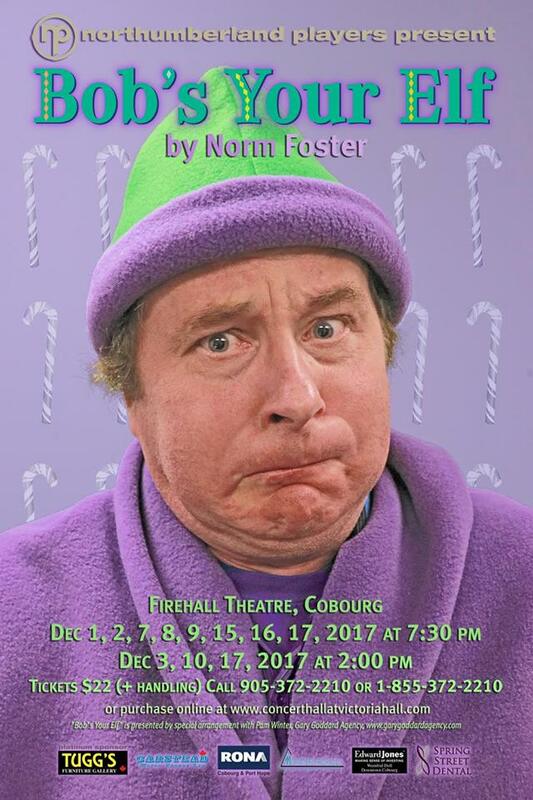 “Bob’s Your Elf” is a comedy by Norm Foster. This hilarious play is being presented by The Northumberland Players December 1st through 17th at The Firehall Theatre in Cobourg. The play is set in Thithelville, and the Thespians are attempting to put on a Christmas Play but they could really use some serious help… serious professional help from The North Pole. Santa sends his Elf Bob to supposedly save the day. Bob turns out to one miserable and incompetent Elf who needs to learn a lesson or two himself about Christmas Spirit. Audiences are sure to recognize The Christmas Carol to Rudolph the Red Nose Reindeer and The Night Before Christmas. The play is Directed by Carlotta Rutledge.